The full name of the state is Veracruz de Ignacio de la Llave. Veracruz was named after the city of Veracruz (From Latin Vera Crux, "True Cross"), which was originally called the Villa Rica de la Vera Cruz. The suffix is in honor of Ignacio de la Llave y Segura Zevallos (1818–1863), who was the governor of Veracruz from 1861 to 1862. The state's seal was authorized by the state legislature in 1954, adapting the one used for the port of Veracruz and created by the Spanish in the early 16th century. The state is a crescent-shaped strip of land wedged between the Sierra Madre Oriental to the west and the Gulf of Mexico to the east. Its total area is 78,815 km2 (30,431 sq mi), accounting for about 3.7% of Mexico's total territory. It stretches about 650 km (403.9 mi) north to south, but its width varies from between 212 km (132 mi) to 36 km (22 mi), with an average of about 100 km (62 mi) in width. 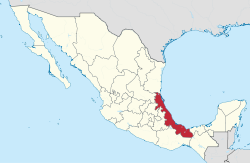 Veracruz shares common borders with the states of Tamaulipas (to the north), Oaxaca and Chiapas (to the south), Tabasco (to the southeast), and Puebla, Hidalgo, and San Luis Potosí (on the west). 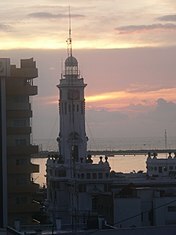 Veracruz has 690 km (429 mi) of coastline with the Gulf of Mexico. The natural geography can be categoried into nine regions: The Sierra de Zongolica, the Tecolutla Region, the Huayacocotla Region, the Metlac River area, the Tuxtlas Region, the Central Region, the Laguna del Castillo Region, the Pueblo Viejo-Tamiahua Region and the Laguna de Alvarado Region. The topography changes drastically, rising from the narrow coastal plains to the highlands of the eastern Sierra Madre. Elevation varies from sea level to the Pico de Orizaba, Mexico's highest peak at 5,636 m (18,491 ft) above sea level. The coast consists of low sandy strips interspersed with tidewater streams and lagoons. Most of the long coastline is narrow and sandy with unstable dunes, small shifting lagoons and points. The mountains are of the Sierra Madre Oriental and the Trans-Mexican Volcanic Belt. Mountain ranges include the Sierra de Topila, Sierra de Otontepec, Sierra de Huayacocotla, Sierra de Coxquihui, Sierra de Chiconquiaco, Sierra de Jalacingo, Sierra de Axocuapan, Sierra de Huatusco, Sierra de Zongolica and the Sierra de Los Tuxtla. Major peaks include Pico de Orizaba (5,636 m, 18,491 ft), Cofre de Perote (4,282 m, 14,048.6 ft), Cerro de Tecomates (3,227 m, 10,587 ft), Cerro del Vigía Alta (3,055 m, 10,023 ft) and Cerro de 3 Tortas (2,997 m, 9,833 ft). The Pico de Orizaba is covered in snow year round; the Cofre de Perote is covered in winter. Major valleys include the Acultzingo, Córdoba, Maltrata, Orizaba and San Andrés. Various types of forest cover the state, but evergreen tropical forest dominate. The state's ecoregion is of great importance for many plant and animal species. It is a center of plant endemism and has two separate endemic bird areas. During the colonial era, Veracruz was the main port of entry for immigrants from Spain, African slaves, and all types of luxury goods for import and export. The first group of Franciscans arrived in Veracruz in 1524, walking barefoot to the capital of the Spanish colony of New Spain. The route between Veracruz and the Spanish capital of Mexico City, built on the site of the Aztec capital Tenochtitlan, was the key trade route during the colonial era. Much of the history of the state is involved with the port city that Cortés founded in 1519. Veracruz became the principal and often only port to export and import goods between the colony of New Spain and Spain itself. To ensure the port's monopoly, it came to have control over almost all of New Spain's Gulf coastline. New Spain's silver and cochineal red dye, were the two most important exports from the port, along with chocolate, vanilla, chili peppers, and much more were exported. Imported were livestock (sheep, cows, goats, horses), wheat and other cultivars. From the Caribbean, slaves, pineapple, and sugar cane were introduced. This made the port a highly prized target for pirates during the colonial period, with attacks and sackings frequent. This led to the building of the fort of San Juan de Ulúa and the fortification of the city overall. Though the Spaniards had halted the Aztec wars and human sacrifices an unexpected problem arose. European diseases decimated the native population of the province, prompting the importation of African slaves during the colonial period, starting in the 16th century. The Spanish imported between 500,000–1,000,000 West African slaves into Mexico between 1535 and 1767 (miscegenation between indigenous and African population began almost immediately). New Spain did not have any laws prohibiting interracial marriage, hence the correct term is Afro-Mestizo, which includes all 3 races: Indigenous, African, and Spanish. In the ten years after 2006, at least 3,600 people have disappeared within the state. Multiple mass graves have been found within the state. This is seen as part of the over 28,000 missing individuals related to the Mexican Drug War. Within the state the Gulf Cartel and Los Zetas have battled for control. Additionally, this has led to journalists being targeted and killed within the state. The state grows half of the country's citrus fruit and grows the most kinds. This occupies 180,577 hectares and produces 2,575,140 tons annually. Varieties include oranges, tangerines, mandarins, limes and grapefruit. Most citrus is grown in the north of the state, and much of the lime crop is exported, supporting a packing and shipping industry. Veracruz is the largest mango producer in the country, grown on 31,640 hectares producing 287,000 tons. Most of this is the manila variety, which is preferred in Mexico. 95% of this crop is consumed fresh within Mexico although exports to Canada have begun. 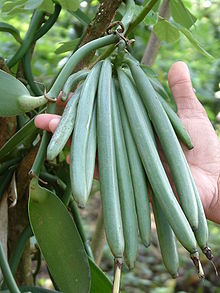 Vanilla beans are native to the state, which is the primary producer for Mexico. Most of this crop is grown in an area known as Totonacapan in and around Papantla. Veracruz's long coastline supports a large fishing industry, producing one-fifth of Mexico's catch. Most of the country's mojarra, oysters and shrimp come from here. Other major fish catches include crab, sea bass and red snapper. Veracruz was a pioneer in both the extraction and refining of petroleum products. The state has about one-fourth of Mexico's petroleum reserves and ranks third in petroleum production. Most of this production is concentrated in the northern part of the state. Approximately 40,000,000 barrels (6,400,000 m3) of oil are produced each year and 109,870,000,000 cubic feet (3.111×109 m3) of natural gas. Petrochemicals represent 28.1% of the state's manufacturing and ranks first nationally. There are 22 petrochemical plants, with the most important being La Cangrejera, Jáltipan de Morelos, Poza Rica, Cosoleacaque, Pajaritos and Minatitlán. After the conquest and during the colonial period, many other spices and ingredients were brought and have had a greater influence in the cooking here than in other parts of the country. From Europe, the Spanish brought saffron, parsley, thyme, marjoram, bay laurel, and cilantro as well Asian spices such as cloves, cinnamon, and black pepper. The Spaniards also brought wheat, rice, almonds, olives and olive oil, garlic, and capers. The latter three are essential ingredients in what is perhaps the most famous specialty of the region, huachinango a la veracruzana, red snapper in a spicy tomato sauce. Caribbean imports such as sugar cane and pineapple were adapted as well as the peanut, brought from Africa by the Portuguese (although the peanut is originally from South America). The state capital of Xalapa is also home to a number of important museums. The Museum of Anthropology contains the second most important collection of Mesoamerican artifacts in the country. It was built beginning in 1959 over six hectares. 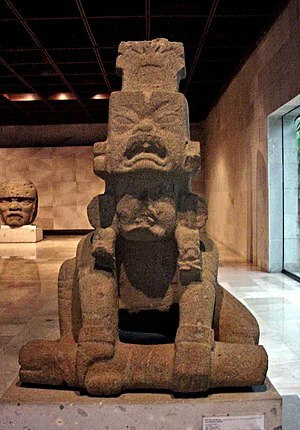 The complex is divided into various halls and galleries by theme, focusing on the Olmec and Totonac cultures. The Patio Olmeca contains the colossal head found in 1945 and known as El Rey (The King). Other important artifacts include giant stelae and San Martin Pajapan Monument 1 (at right). The Museum of Science and Technology is in Xalapa. It contains more than 400 exhibitions in eight halls: Life, Ecology, Space, Transportation, Sciences, Energy, Water and Earth. The Pinoteca Diega Rivera was established by the state in the former Monastery of San Francisco in Xalapa. Its primary function is to preserve and display Rivera’s works owned by the state, but it also contains early works by José María Velasco, Jorge Cuesta and Teodoro A. Dehesa. Near the city is the Hacienda del Lencero, which was the home and headquarters of President Antonio López de Santa Anna in the 19th century. It has been preserved and turned into a museum. The state is noted for its quantity and variety of festivals. The most important of these is Carnival in the city of Veracruz. This city's version of the event begins with the “burning of bad humor,” which is represented in effigy. A number of kings and queens are "crowned" including categories for children but the most important is the Rey Feo (Ugly King) and the Reina del Carnaval (Queen of the Carnival). The latter is accompanies by cadets from the Naval Academy during the parade. This celebration is repeated all along the Veracruz coastline with other significant festivities taking place in Alvarado, Coatzacoalcos, San Rafael and Villa José Cardel. Minatitlán's celebration draws people from the nearby states of Oaxaca and Tabasco. Day of the Dead is celebrated in almost all of Mexico from 31 Oct to 2 November but there are local twists in the state. In some places, it is commemorated during the months of August and September. In Papantla, boards or tables are placed on rooftops, which have been adorned with flowers, plant matter and more. In Tantoyuca, it is commemorated with costumes and music, similar to Carnival. However, the state's most famous dance is as much a ritual and daredevil act as movements performed to music. The Danza de los Voladores (Dance of the Flyers) is a ceremony/ritual which has its roots in the pre-Hispanic period and presently best known as associated with the town of Papantla, Veracruz. It is believed to have originated with the Nahua, Huastec and Otomi peoples in central Mexico, and then spread throughout most of Mesoamerica. The ritual consists of dance and the climbing of a 30-meter pole from which four of the five participants then launch themselves tied with ropes to descend to the ground. The fifth remains on top of the pole, dancing and playing a flute and drum. According to myth, the ritual was created to ask the gods to end a severe drought. Although the ritual did not originate with the Totonac people, today it is most strongly associated with them, especially those in and around Papantla, as the ceremony has died off in most other places. The ceremony was named an Intangible Cultural Heritage by UNESCO in order to help the ritual survive and thrive in the modern world. The state's best-known musical style is called the "son". A “son” is a musical variation which traces its origins to Spain and developed during the 17th and 18th centuries. It is the state's most popular musical style shows influences from the many peoples who have lived here such as indigenous groups, Portuguese, Italians, Africans, French and others. The music is generally performed by harps, violins and guitars, with an occasional wind instrument. Son huasteco (also called son huapango) is a variety of son played in the north of the state mostly among the Totonacs. Son jarocho is the better known and more popular variety played in the south of the state. The famous Grammy award-winning song "La Bamba" by Los Lobos is said have its roots in a traditional folk song from Veracruz (hence the reference to the "Marinero" in that song). However, most of Veracruz's best-known artists are from the 19th and 20th centuries. In the 19th century, these include Miguel Mata Reyes, Salvador Ferrando, José María Jara, Enrique Guerra and Alberto Fuster. Miguel Mata Reyes is best known for his contributions to the design of the Palacio de Bellas Artes as well a portrait of Antonio López de Santa Anna. Salvador Ferrando was a portrait and landscape artist from the north of the state. Until recently, most of his work had been hidden in a museum named after him in the Tlacotalpan region. Much of it now is on display at the Museo de Arte de Veracruz in Orizaba. José María Jara is noted for his paintings of Veracruz customs, whose works include El Velorio, which was presented at the World's Fair in Paris. Enrique Guerra was an important sculptor at the end of the 19th century. His best-known works are bas reliefs and include Asesinato de César, Coroliano, Thais and Crisálida. Alberto Fuster was most active at the end of the century and is noted for bringing symbolism painting to Mexico from his stay in Europe. His works include El progreso, Safo en el templo de Delfos and Nativa con loro. There are three important artists from the 20th century, Carlos Bracho, Norberto Martínez and Teodoro Cano García. Active in the first half of the century, sculptor Carlos Bracho's work has been compared to that of Juan Rulfo. His works have been done in plaster, bronze, terracotta and green onyx and include monumental works which can be found in the cities of Xalapa, Puebla, Pachuca and Mexico City. His best-known works are El abrazo, Cabeza verde and El campesino se apodera de la tierra. Norberto Martínez only lived 45 years but is considered one of the most prolific of Mexican painters who dedicated most of his works to social themes. A number of these are early murals such as El comercio in the Jáuregi de Xalapa market as well as an untitled work in a private home in Córdoba which deals with the fusion of the Spanish, indigenous and African races in Mexico. Later works include the three murals in the main stairwell of the School of Law at the University of Xalapa and El hombre y el conocimiento at the Universidad Veracruzana. Teodoro Cano García is one of Mexico's most famous muralists of the late 20th century, famous for the promotion of the Totonac culture of his hometown of Papantla. He has created paintings, sculptures, etchings, photography and mixed media works with his murals and sculptures most acclaimed. Examples of his work can be seen in various parts of public buildings in Papantla. The literary arts reached their peak in Veracruz starting in the 19th century and extends to the “Generation of the 1950s.” Salvador Díaz Mirón is one of Veracruz's most-distinguished poets. Over his lifetime from the latter 19th to early 20th centuries, he worked as a professor, politician and journalist contributing to periodicals such as El Veracruzano, El Orden, and El Imparcial. His creative works include some of the first Romantic pieces produced in Mexico such as Oda a Víctor Hugo, Ojos verdes, Gloria and Voces interiores. Other works include Poesías A Tirsa, Nox (also known as Claudia) and his last works such as Al buen cura and La mujer de nieve. He became a member of the Academia Mexicana de la Lengua and is buried at the Rotonda de los Hombres Ilustres in Mexico City. María Enriqueta Camarillo was one of a number of women writers to gain prominence in Mexico at the end of the 19th century. While she wrote a number of works such as Jirón del mundo, Sorpresas de la vida and El Secreto, she is best known for Rosas de la infancia, with which many Mexicans learned to read. Writers born at the end of the 19th century, such as Gregorio López y Fuentes, Manuel Maples Arce and Jorge Mateo Cuesta Porte-Petit were often concerned with social issues. 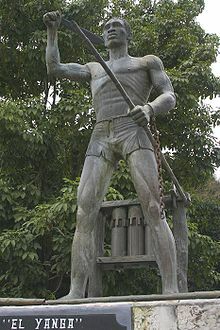 Works of this type include El Indio by López, Metrópolis by Maples and a poem called Canto a un dios mineral by Cuesta. The following generation, born in the first decades of the 20th century, became known as the Generation of the 1950s. During this time Veracruz's literary tradition consolidated and decided to break type. One example is Juan Hernández Ramírez’s writing of poetry in the Nahuatl spoken in the La Huasteca area of Veracruz. One important name from this generation is Emilio Carballido who wrote about 100 plays as well as scripts for radio and television. Some of his works include Rosalba y los llaveros, Felicidad and Las visitaciones del Diablo. In 1996, he won the Premio Nacional de Literatura and in 2002 he received the Ariel de Oro for his work in cinema. With a population of 7,110,214 (2005), Veracruz is the third most populous entity in the country, after the Federal District of Mexico City and the State of Mexico. Population growth has slowed in the state in the last decades, due to lower birthrates and the exodus of migrants, mostly men. Women outnumber men. One reason for the decline in birthrates is the elevation of education levels, especially among women. Another is urbanization, with about one-third of the state's population living in urban centers, especially Veracruz, Xalapa, Coatzacoalcos, Minatitlán and Papantla. Most (90%) of the state's communities, outside of municipal seats have fewer than 500 people and contain only 21% of the total population. The migration of men outside the state has put more women into the state's workforce. Approximately 75% of the population is under 45 years of age and 30% under the age of 15. To the south of the port is on the coast, is Catemaco. This is in a tropical area. The area's two main features are Lake Catemaco, which is located in the crater of an extinct volcano and Isla Tanaxpillo just off the coast. This island is also called the island of the monkeys or baboons due to a group of feral monkeys that escaped and found refuge here. El Pital is a site in the municipality of Martínez de la Torre. It consists of a mound with a pyramid base and stairs on the east side.The site's culture is considered to be a link between the coastal and highland cultures of the region. ^ Nettie Lee Benson; Colegio de México. Centro de Estudios Históricos; Universidad Nacional Autónoma de México (1994). La diputación provincial y el federalismo mexicano. UNAM. pp. 227–. ISBN 978-968-12-0586-7. Retrieved 20 February 2011. ^ "Senadores por Veracruz LXI Legislatura". Senado de la Republica. Retrieved April 9, 2010. ^ "Listado de Diputados por Grupo Parlamentario del Estado de Veracruz". Camara de Diputados. Retrieved April 9, 2010. ^ "Relieve". Cuentame INEGI. Archived from the original on June 17, 2010. Retrieved October 20, 2010. ^ "Nomenclatura" [Nomenclature]. Enciclopedia de los Municipios de México Veracruz de Ignacio de la Llave (in Spanish). Mexico: Instituto Nacional para el Federalismo y el Desarrollo Municipal. 2005. Archived from the original on June 16, 2011. Retrieved August 3, 2010. ^ a b c d e f g Hursh Graber, Karen (January 1, 2006). "The cuisine of Veracruz: a tasty blend of cultures". Mexconnect. Retrieved August 3, 2010. ^ a b c "Estado de Veracruz" [State of Veracruz] (in Spanish). Veracruz: Secretaria de Desarrollo Economico y Portuario. 2006. Retrieved August 3, 2010. ^ a b c d e f g h i j k l m n "Medio Fisico" [Environment]. Enciclopedia de los Municipios de México Veracruz de Ignacio de la Llave (in Spanish). Mexico: Instituto Nacional para el Federalismo y el Desarrollo Municipal. 2005. Archived from the original on June 16, 2011. Retrieved August 3, 2010. ^ a b c d e f g h i j k l m n o p q r s t u v w x y z aa ab Schmal, John P. (2004). "The History of Veracruz". Houston Institute for Culture. Retrieved August 3, 2010. ^ "En el estado de Veracruz, los dos ríos más contaminados de México: Salvemos el Agua" [In the state of Veracruz, the two most contaminated rivers in Mexico: Lets sabe the water]. Potamología (in Spanish). Mexico: Instituto Mexicano de Tecnología del Agua. January 1, 2010. Retrieved August 3, 2010. ^ a b c d "Veracruz moist forests". Terrestrial Ecoregions. World Wildlife Fund. Retrieved August 3, 2010. ^ a b c d e f g h i j k l m n o p q r s t u v "Historia" [History]. Enciclopedia de los Municipios de México Veracruz de Ignacio de la Llave (in Spanish). Mexico: Instituto Nacional para el Federalismo y el Desarrollo Municipal. 2005. Archived from the original on June 16, 2011. Retrieved August 3, 2010. ^ "Mexico finds 166 bodies in mass grave". France24. 7 September 2018. Retrieved 6 September 2018. Woody, Christopher (11 June 2018). "A former Mexican governor has been accused of involvement in forced disappearances, and it points to a sinister problem with Mexico's police". Business Insider. Retrieved 6 September 2018. ^ José de Córdoba (15 March 2017). "Grieving Mothers Lead Authorities to Mass Grave in Mexico". Wall Street Journal. Retrieved 6 September 2018. Garrido, Edgar (19 March 2017). Cameron-Moore, Simon (ed.). "Mexico drug war investigators unearth 47 more skulls in mass graves". Retrieved 6 September 2018. ^ Wade, Lizzie (14 December 2016). "How forensic anthropologists are helping the families of Mexico's disappeared seek justice". Science. Retrieved 6 September 2018. ^ "Mexico drugs war: Mass grave found in Veracruz". BBC News. 19 June 2014. Retrieved 6 September 2018. ^ Imison, Paul (17 August 2015). "How Veracruz Became the Most Dangerous State in Mexico for Journalists". Vice. Retrieved 6 September 2018. ^ Brock, Gregory; Jie Tan; Robert Yarbrough (2014). ""The Informal Economy of Veracruz State during the Fox Administration"". Journal of Developing Areas. 48: 153–168. ^ Moritzky, Charles E. (January 1, 2006). "Veracruz: traveling the Central High Plains of Mexico". Mexconnect. Retrieved August 3, 2010. ^ Brock, Gregory (2014). 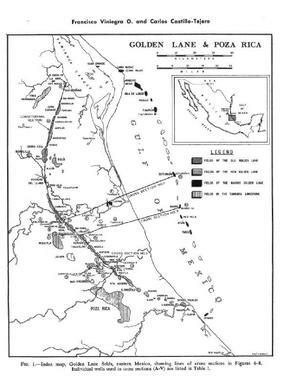 ""The Long Run Industrial Growth of Veracruz State, 1955-2008". Journal of Economic Studies. 41: 821–832. ^ a b c d e f g h i j k l m n o p q r s t u v w x "Atractivos Culturales y Turísticos" [Cultural and Tourist Attractions]. Enciclopedia de los Municipios de México Veracruz de Ignacio de la Llave (in Spanish). Mexico: Instituto Nacional para el Federalismo y el Desarrollo Municipal. 2005. Archived from the original on June 16, 2011. Retrieved August 3, 2010. ^ a b c d e f g h "Infraestructura" [Infrastructure]. Enciclopedia de los Municipios de México Veracruz de Ignacio de la Llave (in Spanish). Mexico: Instituto Nacional para el Federalismo y el Desarrollo Municipal. 2005. Archived from the original on June 16, 2011. Retrieved August 3, 2010. ^ a b "Higher education and research in the State of Veracruz". Organisation for Economic Co-Operation and Development. Retrieved August 3, 2010. ^ "Mexico: extended population list". GeoHive. Archived from the original on March 11, 2012. Retrieved 2011-07-29. ^ a b c "Perfil Sociodemografico" [Socio-demographic profile]. Enciclopedia de los Municipios de México Veracruz de Ignacio de la Llave (in Spanish). Mexico: Instituto Nacional para el Federalismo y el Desarrollo Municipal. 2005. Archived from the original on June 16, 2011. Retrieved August 3, 2010. ^ Patrisia Gonzales and Roberto Rodriguez (March 3, 1996). "African Roots Stretch Deep Into Mexico". Mexconnect. Retrieved August 3, 2010. ^ "Veracruz Ignacio de la Llave Número de habitantes" [Veracruz Ignacio de la Llave Number of inhabitants] (in Spanish). Mexico: INEGI. 2005. Retrieved August 3, 2010. ^ "Gobierno" [Government]. Enciclopedia de los Municipios de México Veracruz de Ignacio de la Llave (in Spanish). Mexico: Instituto Nacional para el Federalismo y el Desarrollo Municipal. 2005. Archived from the original on June 16, 2011. Retrieved August 3, 2010. ^ "Regionalización" [Regions]. Enciclopedia de los Municipios de México Veracruz de Ignacio de la Llave (in Spanish). Mexico: Instituto Nacional para el Federalismo y el Desarrollo Municipal. 2005. Archived from the original on June 16, 2011. Retrieved August 3, 2010. ^ "Threats and censorship at peak in Veracruz, Oaxaca, Michoacán and Zacatecas - Reporters without borders". RSF. Retrieved 9 July 2018. This page was last edited on 31 March 2019, at 19:35 (UTC).